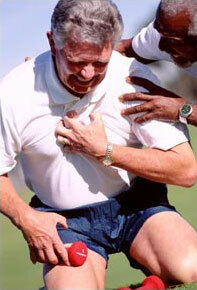 Early detection of heart attack and stroke, before it’s too late. CardioRisk Laboratories is a national service company offering Carotid Intima Media Thickness (CIMT) screening to primary care physicians, cardiologists, and other health care professionals to help them identify and reduce cardiac, and cerebrovascular events in their patients. A CIMT test provides patients with an assessment of their individual risk for heart attack, stroke, and other ischemic events. CardioRisk provides this valuable assessment of heart attack and stroke risk at physician offices throughout the United States. We support pharmaceutical, clinical outcome, and epidemiologic studies where CIMT is used to monitor disease progression or as a surrogate for clinical events. According to the World Health Organization (WHO), Heart Attacks and Strokes are the number one leading cause of death worldwide. Coronary Artery Disease and Stroke collectively account for more than the next seven leading causes of death combined, and they are responsible for over 15 Million deaths each year. Sadly, most of these events are nearly completely preventable. The US healthcare system encourages and rewards treatments and procedures over prevention and outcomes. Experts agree that this is at least partially responsible for the country’s slip to 37th place among 190 industrialized nations in terms of key health outcomes. The standard of care in the US compels physicians to identify and treat risk factors rather than disease. This approach results in Heart Attacks and Strokes account for nearly one third of all deaths in the US, and more in the rest of the world. One test could make all the difference in your practice. In a 10-year, 100,000 person-year study, CIMT caught 98.6% of the heart attacks and strokes BEFORE they happened. Imagine having this tool available at your office for your patients. To read more about this life saving technology, contact CardioRisk or read about it in Dr. Eldredge’s new book “Cardiovascular Wellness Management Success Plan” – a complete guide on the science behind this technology and a comprehensive implementation guide demonstrating how to implement this in your office. 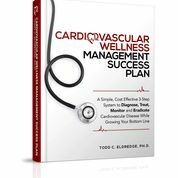 To get a copy of Dr. Eldredge’s book, contact CardioRisk Laboratories, complete the information form on the Contact Tab on this website, or click on the picture of the book below.